How accurate is Ybarra's mastery 'waiting list'? How accurate is Ybarra’s mastery ‘waiting list’? Twice in the past week, state superintendent Sherri Ybarra has testified to legislators about a waiting list of up to 50 school districts and charter schools — all hoping to try out mastery-based learning. But Wendy Moore isn’t sure how her Genesee School District ever landed on the list. Moore says Genesee isn’t even considering mastery. “I’ve told my staff we’re not headed that direction,” Moore, Genesee’s superintendent, told Idaho Education News this week. The waiting list is an important part of Ybarra’s narrative, as she pushes to expand mastery. She wants an additional $1.4 million to double her mastery budget, and help more schools move away from a traditional seat-time learning model to an approach that advances students based on subject knowledge. She’d also like to lift the statutory cap on mastery “incubators.” Idaho has 19 pilot sites. When Ybarra mentioned the waiting list to the Joint Finance-Appropriations Committee on Jan. 24, Idaho Education News asked for a copy. 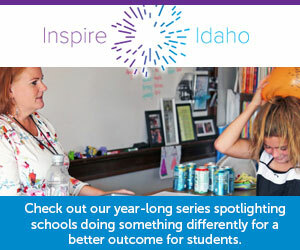 Idaho Education News published the list Monday. That’s when Moore was caught off guard. And she said she was worried that her staffers would take the news the wrong way, since she has told them Genesee wouldn’t pursue mastery unless they were on board. How did Genesee wind up on the list? Moore said she contacted the State Department of Education, in her capacity as the head of her region’s superintendents’ group. She said she was trying to figure out a point of contact. But Genesee never applied for the first round of mastery grants and never followed up on the idea. Moore isn’t the only administrator with questions about the waiting list. “While my school has shown some interest in mastery-based learning, we never requested to be placed on a waiting list,” West Minico Middle School Principal Dustin Heath said in an email to Idaho Education News Wednesday. When Ybarra testified at JFAC, she said her department had a waiting list of up to 50 districts. But the waiting list is an “informal queue,” Ybarra spokesman Scott Phillips said in an email Thursday. The SDE started compiling the list in 2016, and hasn’t gone back to see if districts and charters are still interested. Perhaps most important, in this case, is how the SDE added schools to the list. “Districts and schools were added to this list at the request of trustees, superintendents, principals and in a few cases teachers,” Phillips said in an email last week. Phillips took issue with comments from Moore and Heath. After talking to Moore Thursday, Phillips said Genesee had expressed an “early interest” in mastery. But, he said, Genesee has been removed from the waiting list. West Minico staff, meanwhile, will take part in an SDE mastery event next week, Phillips said. While Genesee doesn’t have any plans to shift to mastery, Moore said she doesn’t have a problem with the concept. Schools that can commit to the change — and provide proper training — can do great things, she said. But her district already has its hands full with another big project: incorporating one-to-one classroom technology. “Taking on a new (initiative) would be a huge time commitment and a financial commitment,” Moore said.